Pros: super fast performance for a little while. Cons: The drive was installed January 14, 2019. Lasted almost exactly 3 months before total fail. System cannot detect the drive. Detects other drives just fine even on the same bus. Cons: people looking for real reviews have to see the babies cry. 7 out of 62 people found this review helpful. Did you? Cons: None, other than normal early adopters caveat emptor. Other Thoughts: There is way too much hype over longevity. Consider the 1TB with 360TB write cycles over the drives lifetime. In a 10-year period, that is roughly 36TB a year of writes only (that means write the SSD full then erase it and fill it again, 36 times in a year. 99% of our work is reads. Unless you use this for professional use, then there should be no worries. Chances are, advances in tech will make these things obsolete before they die/wear out. I would be more concerned with quality, than anything. Samsung has been very reliable for many years. As for my experience, I bought the Intel 660P 1TB, about 6-months ago, with out issues so far. 34 out of 53 people found this review helpful. Did you? 14 out of 120 people found this review helpful. Did you? Cons: This is the new 4 bit per cell QLC NAND with half the write/erase cycles of 3 bit per cell TLC NAND which had half the the write/erase cycles of 2 bit per cell MLC NAND. QLC is supposed to lower the price of SSDs but it's the same price of the current & much better 860 EVO with TLC. Other Thoughts: For this series of drives to be of any value, they would need to be half the price per GB as the TLC versions (860 EVO). They aren't and they have two years less warranty. The current price crash in flash memory means there is no reason not to by TLC drives over QLC drives. 85 out of 144 people found this review helpful. Did you? Other Thoughts: Ok look people comparing this to the evo are not thinking straight. 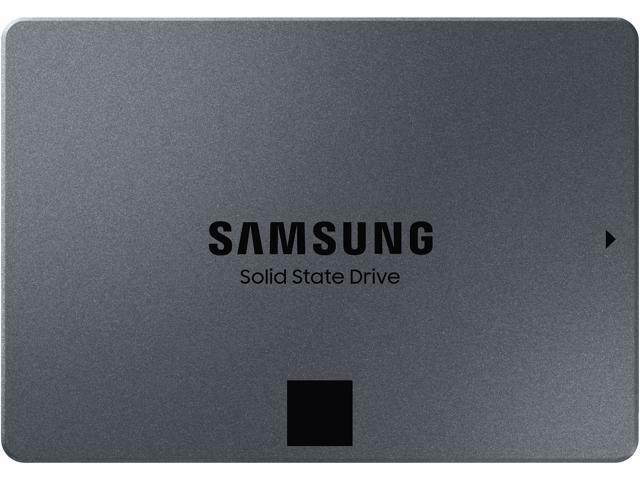 This drive will either replace the evo series or if alongside it it will be cheaper. 14 out of 62 people found this review helpful. Did you? 33 out of 124 people found this review helpful. Did you?